E-commerce is capturing almost all the gains in retail sales. And your online store should be in the best presentation and convenient to get more deals from customers. Shoppers have their own aesthetic and your products should be viewed clearly in different color to satisfy customers' experience. 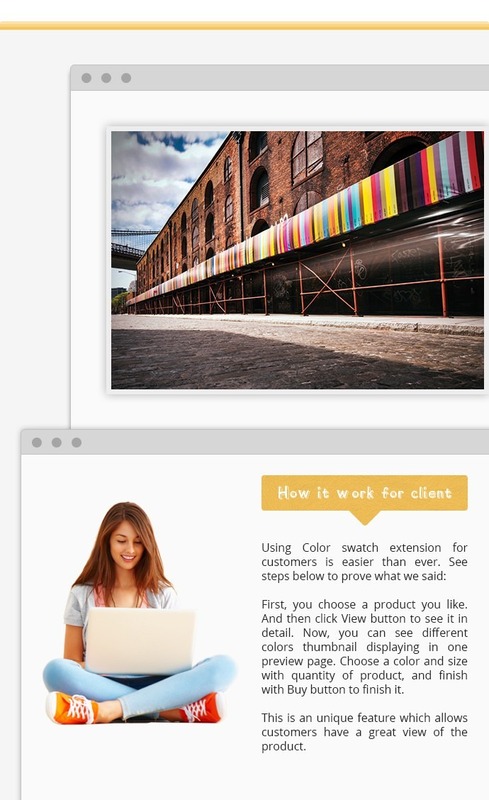 This is a reason why our developer team creates Virtuemart Color Swatch Extension. Are you selling products in different colors or design? 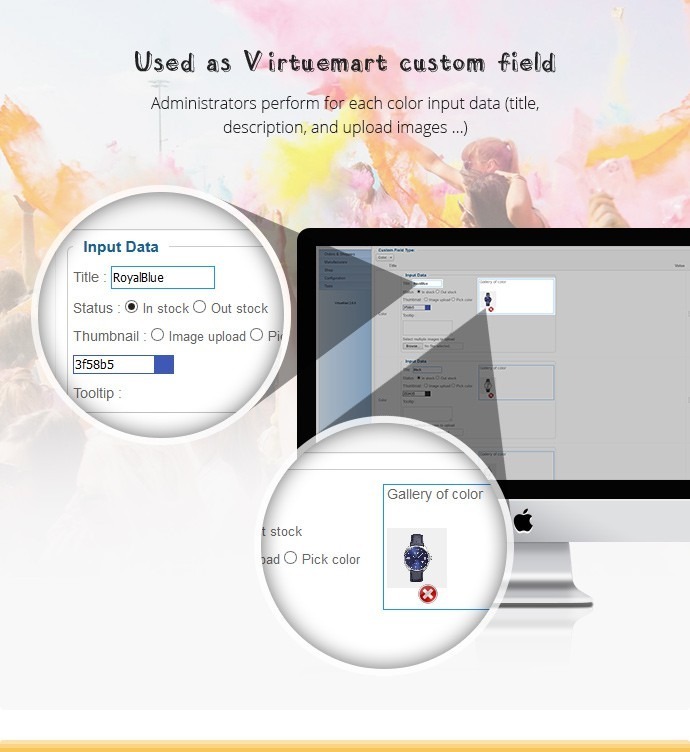 Then Virtuemart Colors Swatches will help your customers to understand how your products will look in each different variation. Simply assign any image from product gallery to each attribute value and get ready image switcher on your store products page. 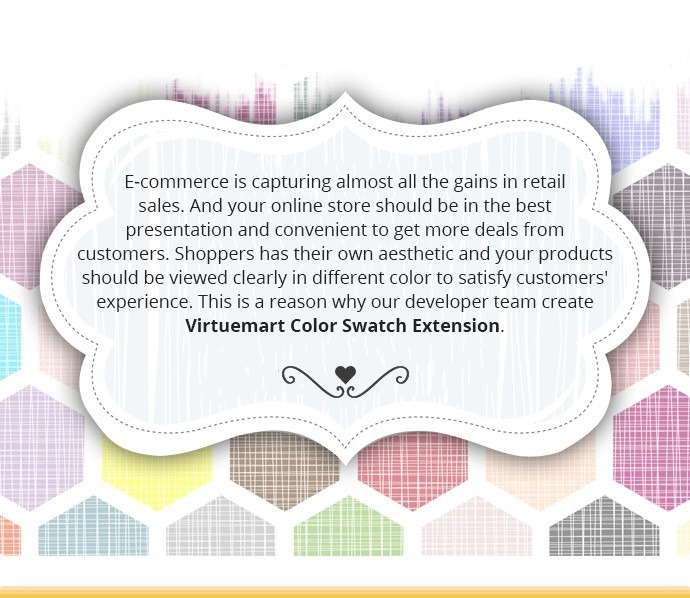 Virtuemart Colors Swatches provide easy and flexible way to create professional looking color swatches for your store. You can let your customers select options and add configurable products to cart right from the category page. 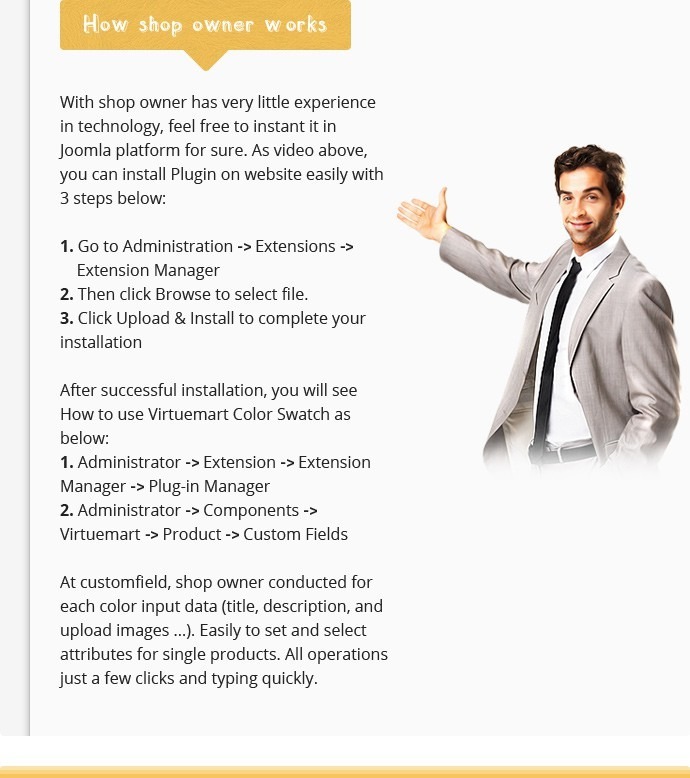 Why don't you take this virtuemart extension as core features of your site? Visualize a variety of your product options with vivid swatches! 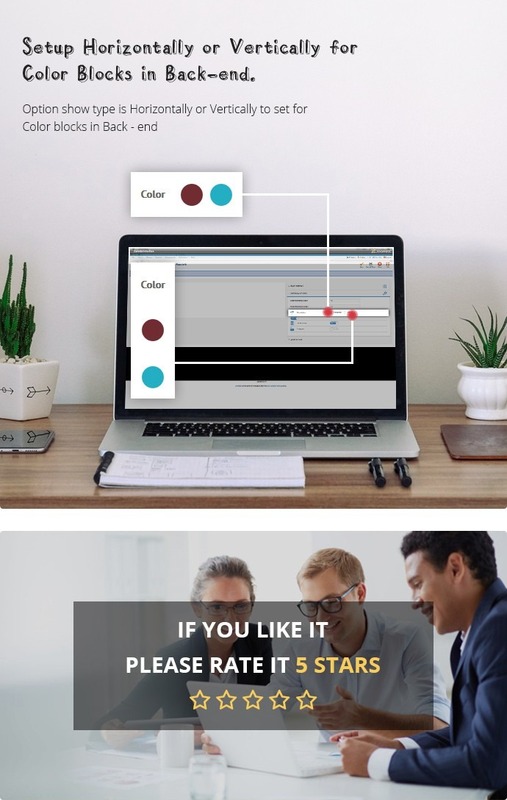 Fast and easy-to-use, the Virtuemart Color Swatches extension lets you create swatches for configurable product options (color, material, manufacture) and demonstrate the exact view of your products in a couple of clicks. Just choose required images, upload and assign them to attribute values with our feature and enjoy the result. Are you looking for a way of presenting products to stand out in competitive crowds? If “yes”, Virtuemart Color Swatch extension is the best choice. Let see benefits below which it brings for you. It helps your customers convenient, save time and get more options when shopping. Virtuemart Color Swatch plugin minimizes a lot of actions on site and enhances visual impacts.The extension has been advanced being more quickly and easy-to-see. 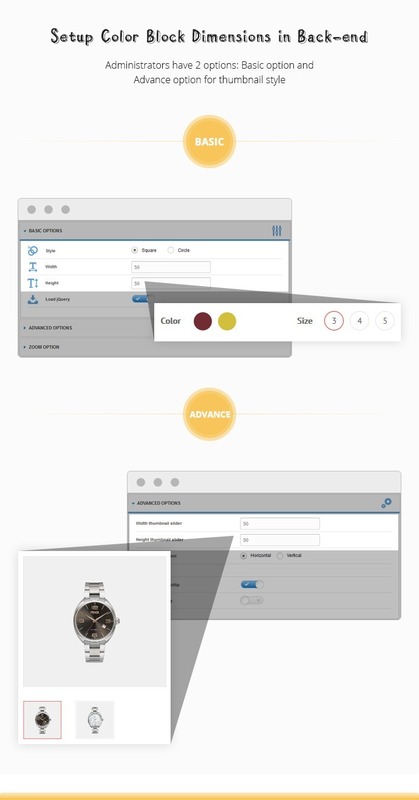 A visitor can choose required product attributes and see the final product view without a page reloading. The site can run faster and bring new and convenient experience for customers. 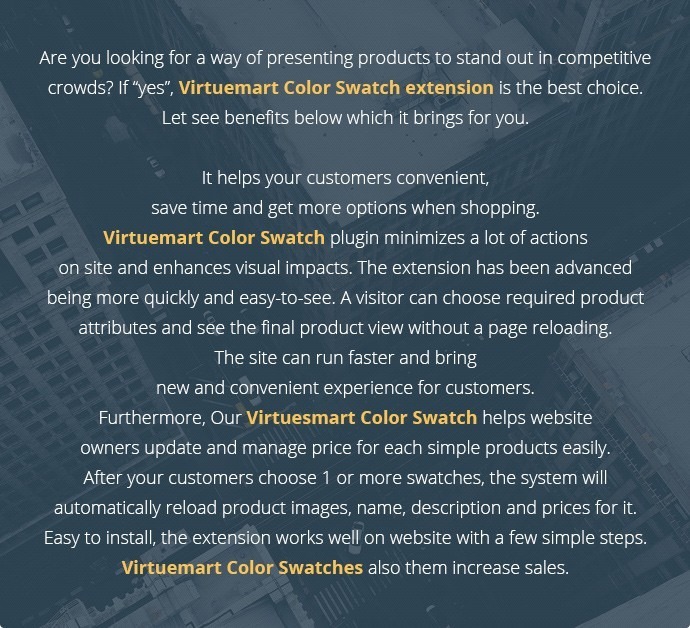 Furthermore, Our Virtuesmart Color Swatch helps website owners update and manage price for each simple products easily. After your customers choose 1 or more swatches, the system will automatically reload product images, name, description and prices for it. Easy to install, the extension works well on website with a few simple steps. Virtuemart Color Swatches also them increase sales. First, you choose a product you like. And then click View button to see it in detail. Now, you can see different colors thumbnail displaying in one preview page. Choose a color and size with quantity of product, and finish with Buy button to finish it. 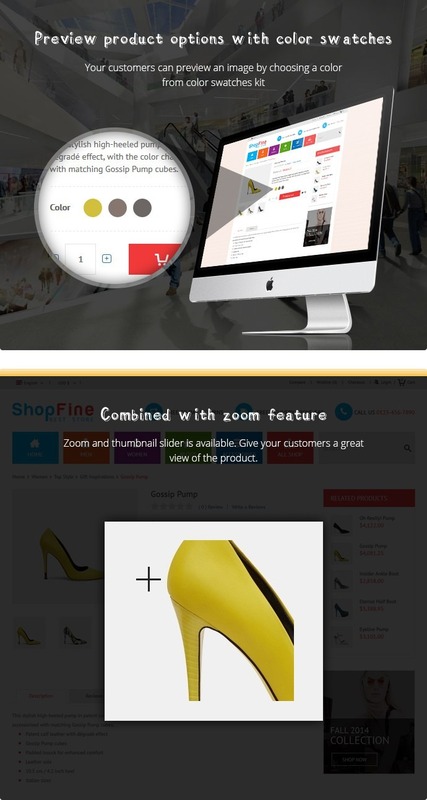 This is a unique feature which allows customers have a great view of the product. Step 2: Then click Browse to select file. At custom field, shop owner conducted for each color input data (title, description, and upload images ...). Easily to set up and select some attributes for single products. Setup Color Block Dimensions in Back-end - Administrators have 2 options: Basic option and Advance option for thumbnail style. jQuery and Ajax : allow price being attached with particular colors, to upload the image in color, use the php function to display the uploaded image and jQuery to delete the image. jQuery jCarousel libraries to create thumbnails slide in detail page. Using Query to perform necessary operations (copy custom field ...). Combined with zoom feature - Zoom and thumbnail slider is available. Give your customers a great view of the product. Plugin is really great, and the support team makes it even better, they help you out when there is no light on the end of the tunnel.. there plugin open's up alot of options for you're webshop. i really really love the team and the plugin! Great plugin and really excellent support. The CMSMART support team is really professional ! They are very efficient, very fast and respond exactly to the demand. I recommend them warmly !! Best extension. Fast and helpful support! I recommend to everyone. The most significant improvement after using this extension is loading speed on site. abandoned rate on my site has felt down, my headache problem had been solved! Thank you so much! WOW - Best extension to work with ever! User friendly, a lot of helpful features. I received the good support! 5 star quality product on Cmsmart. Very good extension, works great. Excellent support ! Thank you Giang for helping me fix some issues and get the web site running with this extension. My recommendations ! the extension is working well on my website. Thanks for helpful support from team. Very appreciate. easy to install and implement. Just a few minor issues but developer solved them all. Thanks to Mr. Hoang. I'm very satisfied. 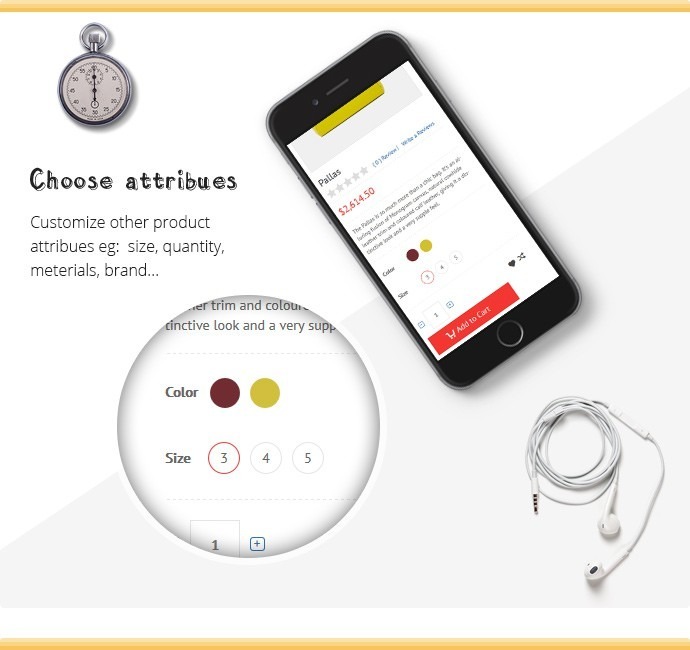 Good product with many great features from Virtuemart, our customers can preview the image with different colors and see, help them choose better and we feel good about it. You should use this product. Modern life, the information technology flourish thanks to the talented and creative as you, thank you for support me enthusiastic. Had a bit of a problem when installing, but all were solved quickly, thank the support team. I will recommend the Color Swatch Extension with my friends. Your team support is very good, they are resolve all my problem very quickly. WhyVirtuemart shopping cart is widely believed? Ajax functionality is present to avoid reloading of the page when a product is added or deleted. Shopping cart module with mobile ready as is the need of the hour. What benefits that virtuemart shopping cart bring to your website? With the help of SEO friendly shopping carts, you can increase the ranking of the e-commerce store easily. 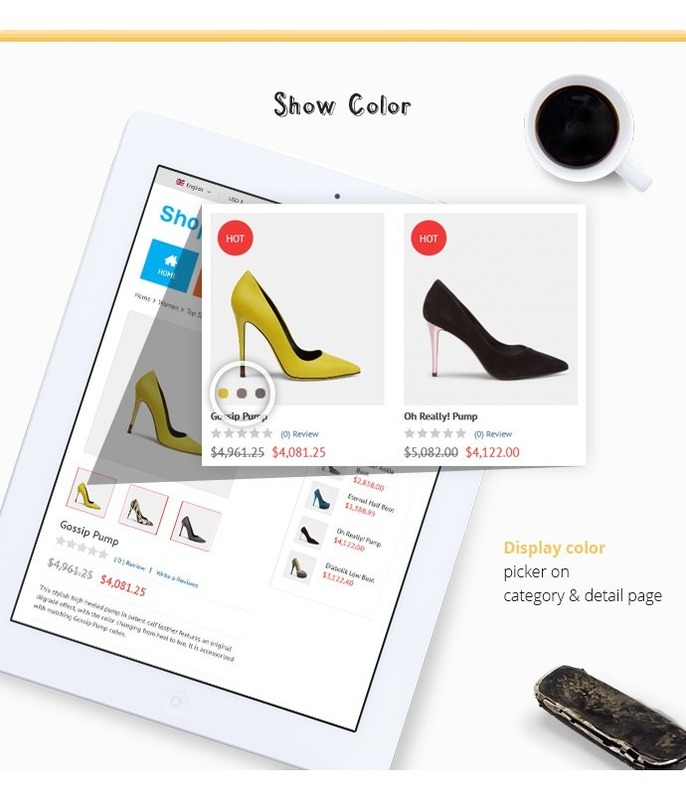 Virtuemart Color Swatch extension is a powerful tool to help admins inspire customer shopping thanks to the ability to change colors swatches options of products on the category page and product details page and changeable colors icons. Setup Color Block Dimensions in the Back-end. 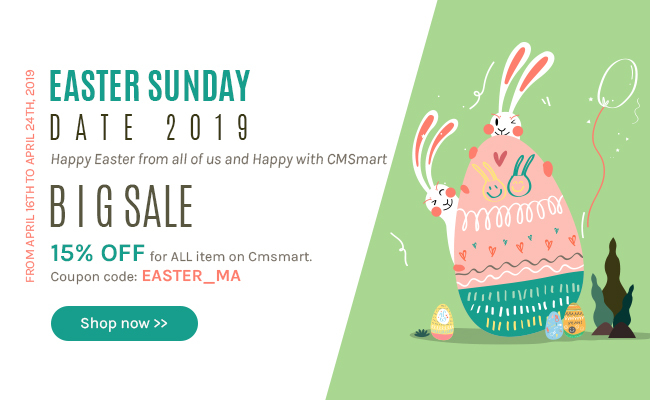 To summarize, if you are finding a strong solution to improve your Virtuemart Shopping Cart – Virtuemart Shopping Cart with Virtuemart Color Swatch Extension is a best choice. So don’t hesitate to check how it works. Can we test or try it before buy this product? Or we have to buy it for testing? We would like to use this extension on our website. We would like to sell textiles on our website. One product has many colors, sometimes 22 or more..
Can we use your extension in this situation? Yes, you can use our product in this situation. So you should buy our product now . We would like to use color swatch more than 6 months? When you buy our product, you can download, upgrade and receive our support in 6 months, after that you can continue to use our product with fee very cheap, it is only $19.75 and you will be received all benefit above. So you should by our product now with price is Auto Renewal. We are willing to support you every time. Please do reply my ticket. I have paid for this extension and I need to publish it on website as soon as possible. The horizontal setting didn't work! The color setting also didn't work! Thank you for your purchasing our product. Sorry for answering late. Please follow your ticket, our support team will resolve your problems soon. I have submit ticket..but didn't receive any response from you. I have a problem with the horizontal setting. The horizontal doesn't work. It show vertical only. Please response as soon as possible. Thank you so much for purchasing our products. Please following your ticket. 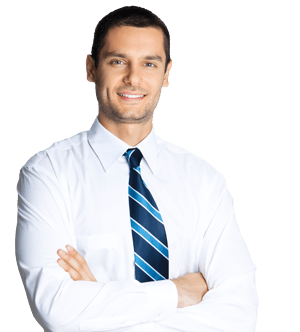 Our support team will detail instruction via your ticket. Hello. I havent bought the script yet, and i want to investigate, if there is a way to display the tooltip as a price for liter? I am planing to open a perfume shop and there are different size bottles for every perfume and its a law here to display the price of liter too. So if there is multiple sizes bottles, 50ml, 100ml and 200ml, i can use your component to display them correctly, but the price of liter changes also with different bottle size. So i thought if there is a way to display the tooltip what i plan to use as a field of liter price under the perfume price? However, we have discuss and found that our product totally can do it as your want. So please purchase our product to have interesting experiences.